Los Angeles Toe Amputation Lawyer: You Win or It’s Free! 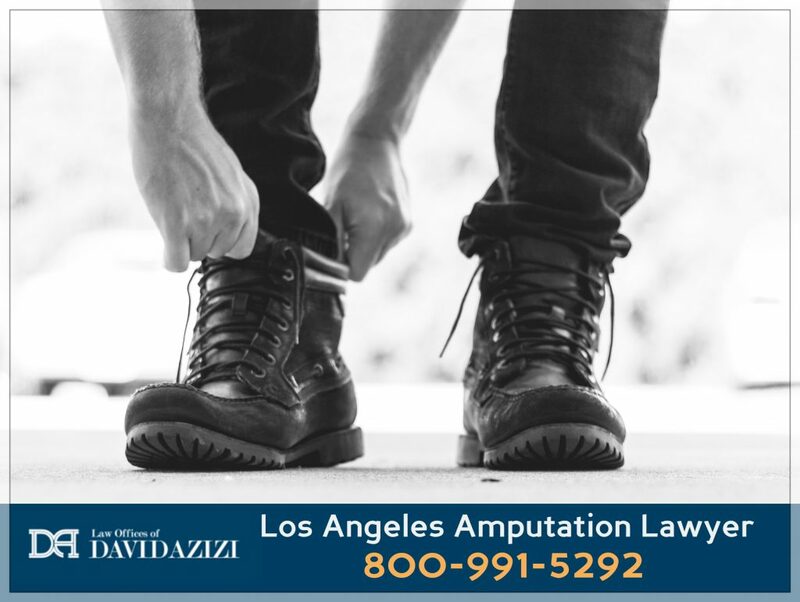 If you or someone you care about has lost a toe in an accident, call 800-991-5292 today, 24/7, for a free consultation with attorney David Azizi. L.A. area residents have chosen him since 1998 to obtain the maximum financial compensation to which they’re entitled, and you can too. Whether you’ve had one or even all of your toes amputated, you can move forward from your injury with the confidence that David wins cases 98 percent of the time. If, for some reason, the verdict doesn’t go in your favor, you don’t owe him a dime. Southern Californians have hired David for years because first, he is extremely familiar and experienced with the many common types of toe amputation injuries. And second, he fights on your behalf for every single dollar to which you are entitled. 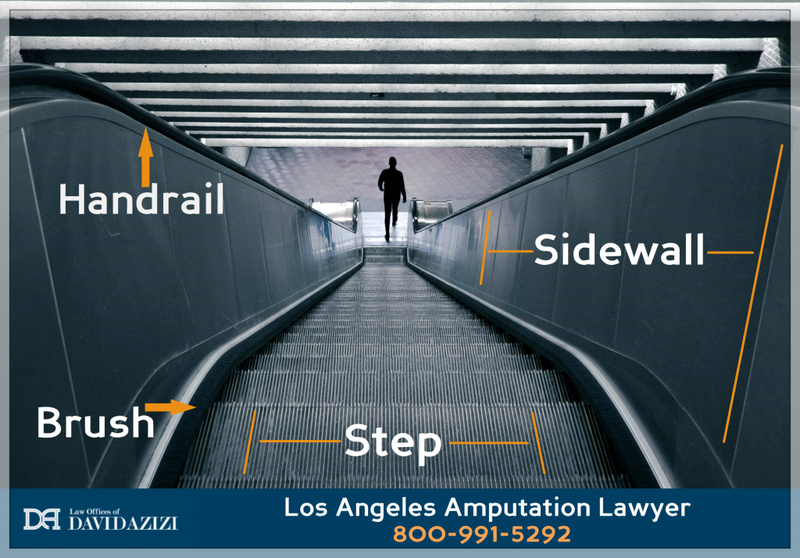 Los Angeles amputation lawyer David Aziz sat down to address essential questions about the lawsuit process surrounding amputation injuries. Listen to the podcast audio below. Click here for full transcription of episode. Can Steel Toe Boots Cut Off Toes? It’s often asked, “Can boots with reinforced steel toes actually cause an amputation?” This is definitely a myth. Many tests have been run to disprove this, including those conducted by the popular TV show Mythbusters. The results show that if a heavy load falls on steel toe boots, those that conform to safety standards actually provide greater protection than non-reinforced shoes. So the answer is a clear no. However, if you have suffered an amputated toe while wearing a steel toe boot, call us at the Law Offices of David Azizi anyway. The fact that this happened might mean that a defect in the manufacture or design of the boot caused the accident. 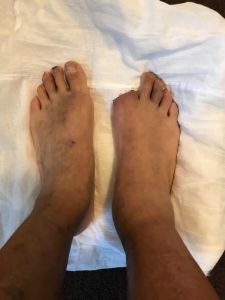 Again, the consultation is free, and you can talk with David Azizi to determine if another party may have been negligent, thus causing the loss of your toe. A second reason that toe dismemberment victims have retained David Azizi’s services for years is that he pursues every dollar to which his clients are entitled. Various factors determine the amount of compensation he will seek on your behalf. You may have seen a recent analysis suggesting that the median amputated toe settlement is around $119,000, but this actually tells us nothing about what you can expect in your unique situation. David needs to first hear from you the details of your accident, and then he will be able to estimate the amount to which you could be entitled. How much did the victim have to pay for medical costs? What expenses can the victim and his family expect to incur for psychological and psychiatric treatment? What are the financial resources of the negligent party or parties that caused the accident, and to what degree was each at fault? Was it a partial or complete big toe amputation? How much can the victim anticipate paying for physical therapy and occupational retraining? How does the amputation affect daily movement? How does the amputation affect daily functioning? How many dependents does the victim have, and how old are they? How will the loss of the digit affect the ability to work? How many months or years of work will likely be lost due to the amputation? What is the current and potential future salary of the victim? The last of these listed factors above relates to a question we often receive from clients: How long does it take to recover from losing a toe, and how long does the case take to settle? Unfortunately, given that we at the Law Offices of David Azizi are not trained medical professionals, we cannot answer the first part of this question. We encourage our clients to ask their doctors. Regarding the second half of the question, we can’t give a blanket, across-the-board answer about the length of a case. That may sound like a cop-out, but it’s not. The best, honest answer we can give is that it truly depends on the unique circumstances of each case. But we know for sure that, if you call us today, we can get your case started immediately. As you can tell from the very detailed nature of the questions in the billeted list, David aggressively pursues every dollar to which you are entitled. These are just some of the factors David uses to help a client determine how much to seek in toe amputation settlements. Upon hearing your case, he will give you a fairly accurate estimate of how much money you can reasonably seek. His commitment to obtain every bit of financial compensation you need makes him a highly sought-after toe amputation lawyer in Southern California. David knows that losing a toe is an extremely painful experience – physically, emotionally and financially. He and his team stand ready to help you recover the fullest possible settlement to which you’re entitled. He has already helped numerous clients, who have chosen him for his commitment to pursue maximum compensation and his expertise with all common toe amputation cases. Call our offices now at 800-991-5292 to begin your free consultation and to restore a sense of hope in the midst of your difficult situation.